ROSEMEAD, CALIFORNIA, UNITED STATES, December 20, 2018 /EINPresswire.com/ — Titanium Real Estate Network proudly announced its core values and commitment for 2019 during its annual Christmas party held in Fogo De Chão Restaurant on December 15, 2018. The event was a blast with the attendants happily sharing drinks and their thoughts for the upcoming year. “To Help You Achieve Your Hearts Desire! Go Serve Big! !” is our five core values to the commitment to one another, to clients, and the community, says Rudy L. Kusuma. With RE/MAX Titanium Real Estate Network commitment to Second Mile Service, Being Results-Driven, Inspiring and Empowering others, Embracing Continual Improvement, and Value Relationships by Expressing Gratitude, the company will strive to become the best place for everyone. Its team members will do its best to work hard to provide clients with second to none service. With RE/MAX Titanium Real Estate Network will be the place where sellers and buyers can do business in a less stressful way. 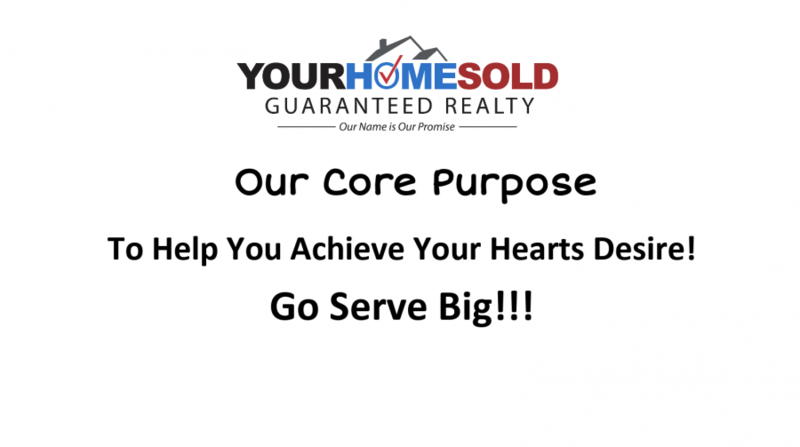 During the event, Rudy L. Kusuma Home Selling Team emphasized their operating values “Second-mile service: Go Serve Big!!! :.Which means to inspire and empower others, embrace continual improvement, and value relationships. With these values, it will be easier to make business with almost everyone. Also, the company’s Second Mile Service aims to exceed clients expectations. It will be much easier for its team members to deliver second to none service through its new and unique methods to selling properties. Rudy L. Kusuma Home Selling Team also aims to empower others through being accountable with their client's interests. Using unique business models, it will be easier for the company to allow and encourage its team members to easily resolve issues and problems. The year 2019 will be filed with follow up on commitments for shareholders. Aiming to be results driven, Rudy L. Kusuma Home Selling Team will be implementing strategies focused on achievements and outcomes. But providing its team members with a clear path, it will be easier to deliver results demanded by customers. Next year is expected to a year where Rudy L. Kusuma Home Selling Team will provide a positive and long-lasting impact with the community. Rudy L. Kusuma Home Selling Team also aims to provide better value on relationships by expressing gratitude. This will be done by openly thanking clients for trust and loyalty. With the new strategies waiting to be rolled out, RE/MAX Titanium Real Estate Network will be starting to promote and praise its employees very often as the year ends. Although this is already in place, making it more often will make employees empowered to strive more for their clients. “To Be the Best Place to Work, Sell and Buy Real Estate in California!” is Rudy L. Kusuma Home Selling Team vision statement says the people who were present in the annual Christmas gathering. For further details about Rudy L. Kusuma Home Selling Team, visit http://titaniumrealestatenetwork.com/our-core-values/ or call (626) 789-0159.